If your photocopier/printer does not respond when sending a print job, we can help! If you have marks or smudges on your prints, or the colour is not right, see how we can help! If your device is calling for service, act now and save on possible downtime and unnecessary costs. If your device is squeaking, grinding, bumping or banging, get in touch and let us help! If your device is repeatedly jamming or you can’t clear a jam, let us get you printing again! When you need Printer Repairs, you want to know how soon it can be fixed and how much it will cost. At Copiers and Servicing we offer you a choice of 4 or 8 hour response times and most of all provide you with a single fixed price, so no matter how much time is required to repair your Printer you’ll pay no more – giving you complete piece of mind. Copiers and Servicing offers experienced and comprehensive support and repairs for a wide range of office equipment. We also offer maintenance agreements for your existing office print fleet which can save you time and money by averting costly and frustrating break downs. When you’re in need of Printer repairs, we understand how important it is to get you back up and running as quickly as possible. That’s why we only carry out Printer repairs on makes and models that our engineers are fully manufacturer trained on, and carry parts and maintenance kits in their car stock. This means, we can offer an industry leading first time fix rate. 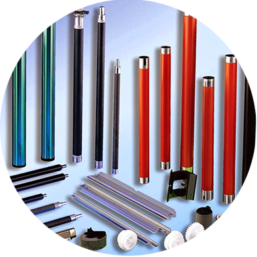 As we specialize in manufacturer Printer repairs, we purchase our parts and fittings in bulk, meaning we can pass cost savings on to you, rather than needing to order individual parts from third parties like most other Printer repairs companies. With all this in mind, its easy to see why our engineers have unrivaled brand knowledge and why we are the most efficient and will not be beaten on price. Excellent service and excellent prices, after sales service was also very good. 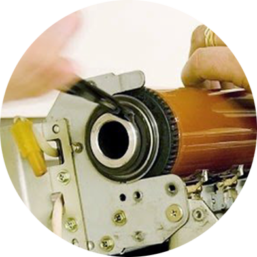 Copiers and Servicing also offer experienced and comprehensive repairs and support for a wide range of office equipment; Printers, Photocopiers, Fax Machines and Shredders.